“Grace is not a Hidden Agenda” | The Old Adam Lives! That’s exactly it. We don’t have to have some fancy or precise theology. Just receive. Accept. His gift is real, even so. We would be so lost if we had to have the right theology or understand or figure it out. But, He is real. He gives us these things we can touch and taste and see to help us know He is real. He is MUCH MORE real than what we can touch and taste and see. 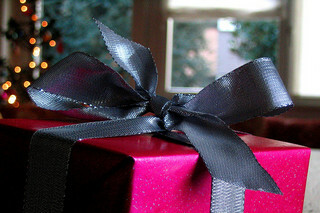 His gift is real… whether we accept it or not, certainly whether we understand or not. He comes to us. He gives us salvation. It is all dependent on Him. Alleluia!